A contingent of women journalists from Pakistan recently visited WUWF Public Media. WUWF Executive Director Pat Crawford talks to a visiting group of Pakistani women journalists. Pat Crawford and Sandra Averhart talk with female journalists from Pakistan during a recent visit to Pensacola. A female journalist from Pakistan takes notes during a recent visit to WUWF. A group of Pakistani female journalists, hosted by the Gulf Coast Citizen Diplomacy Council, gets a look at WUWF's Radio Torii during a recent visit. Female journalists from Pakistan learn about WUWF's Radio Torii from Executive Director Pat Crawford. Grace McCaffrey, publisher of Costa Latina Newspaper, discusses her paper's coverage of issues affecting Pensacola's minority latino community. Saba Rani and Asma Ali, working journalists in Pakistan, share some of the difficulties they face as women in the male-dominated news industry. Sandra Averhart talks with women journalists from Pakistan about the difficulties of working in the news industry. Since 2008, the Gulf Coast Citizen Diplomacy Council, a program of the U.S. Department of State, has brought a steady flow of international visitors to Pensacola. A recent delegation has included a contingent of 15 women journalists from Pakistan. While in Pensacola, the group visited the studios of WUWF Public Media. Two of them sat down for a discussion of some of the challenges they face as members of the news media in their male-dominated country. 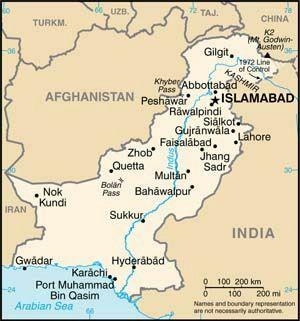 Asma Ali is from the province of Khyber Pakhtunkhwa in northwestern Pakistan. She has a master’s degree in journalism and mass communication from Peshawar University. “I have worked with many organizations including BBC (British Broadcasting Corporation) and DW, Deutche Welle,” said Ali of her experience, which is mostly in radio production. Now 32 years old, Ali has been a working journalist since 2010 and now holds a management position at a government-owned company, which she says provides a more stable work environment - in terms of hours, travel, and pay - than privately owned news organizations in Pakistan. She says one of the challenges of being a journalist in her home region, where the literacy rate is low, is the need to first educate people they encounter about what they actually do. Another issue is that many people in Pakistan associate journalists and journalism with TV only. But, regardless of medium, in Pakistan, there’s little reverence for females in the news industry, particularly those working in the field. 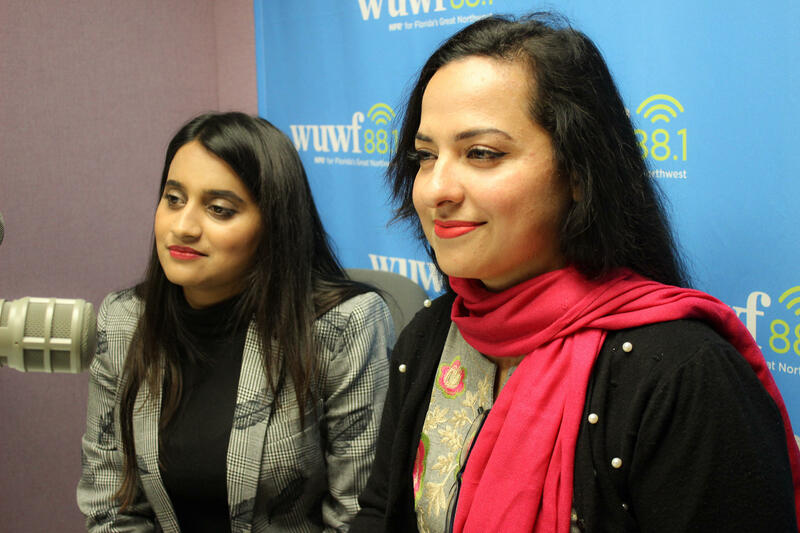 Saba Rani and Asma Ali, working journalists in Pakistan, speak with WUWF's Sandra Averhart during a visit with the Gulf Coast Citizen Diplomacy Council. “It’s very good if you are going to teach somewhere in the school or college and the university,” said Ali, referring to those more respectable jobs in Pakistan. “Because we are female and the society in Khyber Pakhtunkhwa that is male-dominated,” added 26-year-old Saba Rani. Rani is also from the province of Khyber Pakhtunkhwa, with a master’s degree in journalism and mass communication from Peshawar University. She currently works in the field as a radio and TV reporter and says discrimination is common. “The men over there, they are not comfortable with us because they feel like journalism is only for the male,” Rani said. Cutting in, Ali adds that it’s especially challenging for field reporters, which is currently what Rani is doing. For her part, Rani acknowledges the additional stresses of working in the field, particularly in a region faced with terrorism and religious extremism. In Pakistan, like in the U.S., there is a gender pay gap, with few women in leadership positions in the news industry. Similar to American newsrooms, lower pay and inability to advance are tied to the fact that women reporters are often assigned to softer beats, such as health and education. “If we are not covering politics and war zones and we are only covering softer things…it will not give boost to our careers,” agreed Rani and Ali. Apparently, it’s hard for women journalists to hang in long enough to advance, and for many who do work in the industry. “When I was in the University, we were 12 girls there, but now (there are) only two,” Ali said in reference to herself and a friend, who are working journalists. The other females she knew in college are now at home. “The family will allow you to have a degree in journalism and mass communication, but will not allow you to work in the field,” she said, adding that the restrictions are not limited to the field of journalism. Further, there can be a steep personal price to pay. “No one will marry you,” stated Rani of the reality faced by females in Pakistan who choose to work as journalists. Rani and Ali are at different places in their personal lives. Rani is still single and working her way through the ranks, while Ali is married and has a young child and is among the limited number of Pakistan women journalists to hold a leadership position. However, each is hopeful for the future, knowing they have the full support of their families. “If I want to cover a story, somewhere out of the station, so they allow me to go. And, like I’m here (in the U.S.) and they’re fine with it,” said Rani. In fact, the contingent of 15 women journalists from Pakistan included four from the conservative province of Khyber Pakhtunkhwa. For all but one of the women journalists from Pakistan, this was their first time traveling to the U.S. In addition to Pensacola, they also stopped in Washington, D.C., Dallas and Denver, where they were fascinated by a visit to a press club exclusively for women.